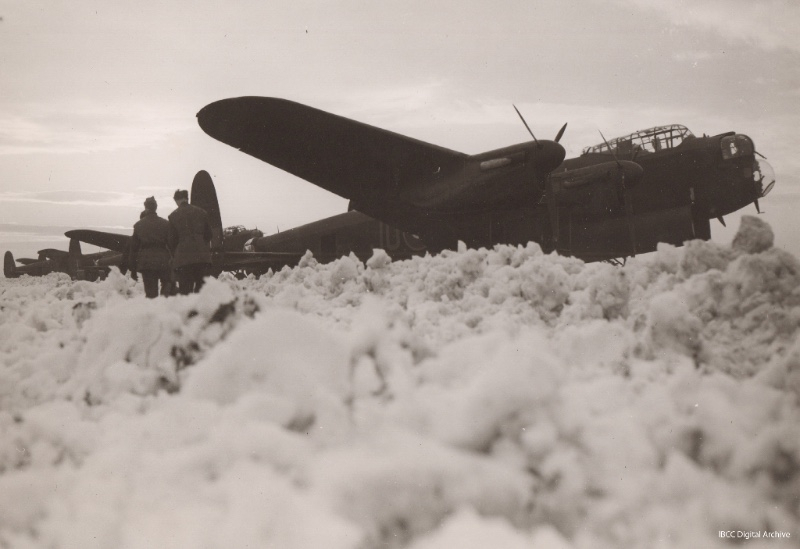 During WW2 over a million men and women, from over 60 different nations, served or supported Bomber Command. The IBCC is being built to ensure that their stories are told and so that generations to come can learn of their bravery, dedication and the struggle for recognition post-war. 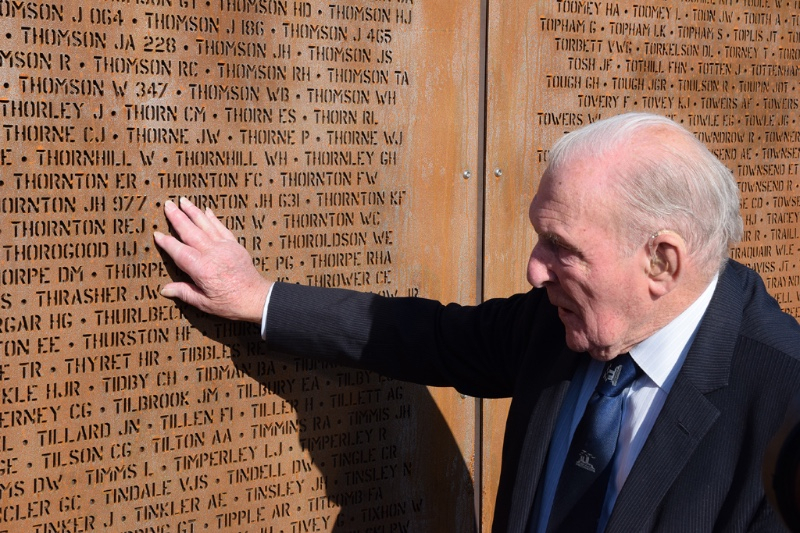 The project, which was launched in 2013, unveiled the first physical element of the project, the Spire Memorial and Walls of Names, in October 2015 with an audience of 2,600 guests including 312 WWII Bomber Command veterans, thought to be the largest gathering since 1945. The IBCC has already raised over £2 million in private donations and is awaiting the outcome of an Heritage Lottery Fund delivery grant to cover the exhibition design, community engagement and digital archive development costs. However, and most importantly, the Trust still needs to fund the building of the Chadwick Centre, which will house the exhibition, archive and education facilities. 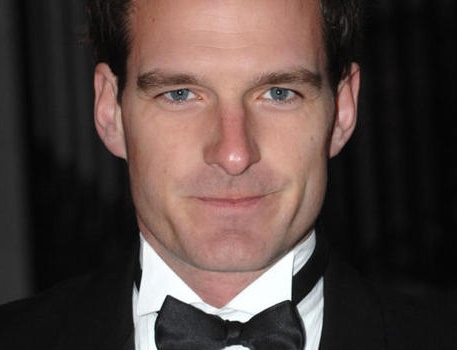 To raise the £3.8 million needed to build the centre the IBCC is launching a major fundraising campaign with the support of celebrities such as Dan Snow, Carol Vordeman, Dame Judi Dench and John Sergeant during January. Entitled “Are You One in a Million?”, the campaign aims to get 1 million people to donate at least £3 plus gift aid. January 2016 sees the 75th anniversary of the inaugural flight of the iconic Lancaster Bomber, designed by Avro’s Chief Designer, Roy Chadwick. Over 7,000 of these aircraft were built during WWII and adaptations were made to service the famous Dambusters raid and later to carry the 12,000 Tallboy and 22,000 Grandslam bombs. Today there are only two Lancasters left flying in the world. PA474 flown by the RAF’s Battle of Britain Memorial Flight and FM213 owned and operated by the Canadian Warbird Heritage Museum. 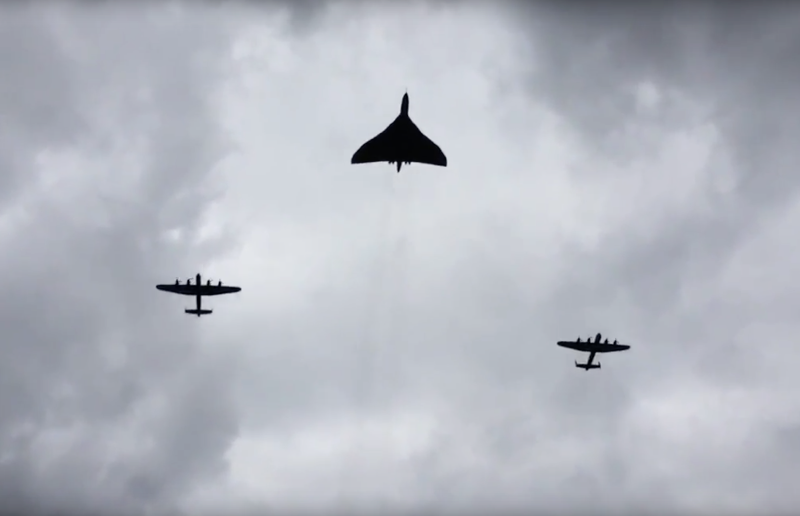 Thumper and Vera, as they are more commonly known, flew over the IBCC site for the 2014 Turf Cutting Ceremony along with their younger “sister” the Vulcan. This flypast was unique and will never be repeated. Chairman of the Trust, Tony Worth CVO says “All of those who served deserve recognition for their unstinting sense of duty, bravery and sacrifice. Their story is an enormously complicated one and includes not only those who served but those who supported them and those who suffered as a result of the campaigns. These are the people that this project will bring to life and honour. It will be an invaluable asset for the telling to future generations of the extent of the contribution of all those involved in Bomber Command in the defence of our liberty”. Donations can be made online at www.internationabcc.co.uk or via text to 70070 followed by IBCC01 and the amount you wish to donate. 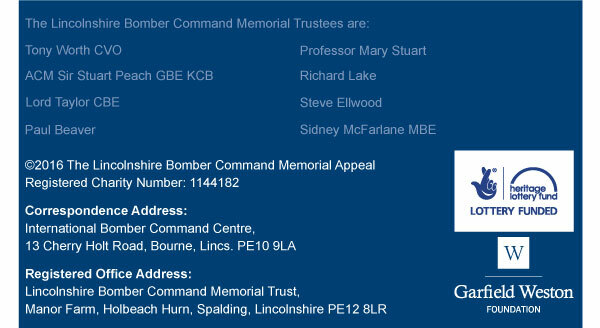 Please forward any donations by cheque to: The International Bomber Command Centre, 13 Cherry Holt Road, Bourne, Lincolnshire PE10 9LA. 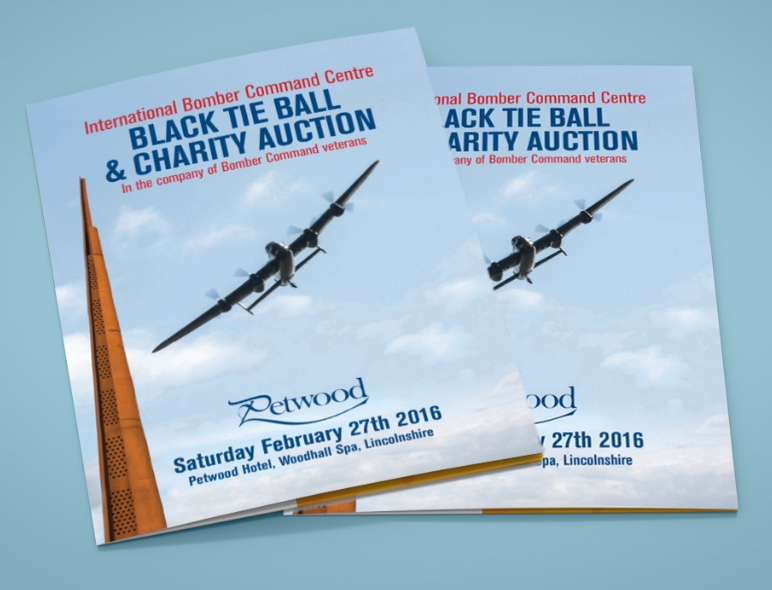 On the 27th:February the IBCC will be holding a Spring Ball at the beautiful Petwood Hotel, Woodhall Spa. 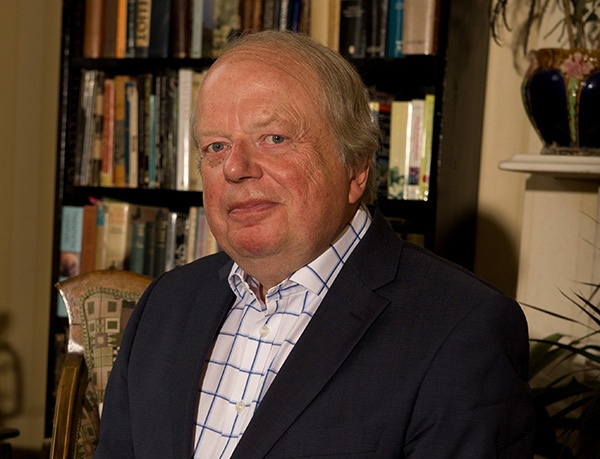 The event will be hosted by John Sergeant, of BBC News and Strictly Come Dancing fame, who is an IBCC Ambassador. Other guests include Capt Eric “Winkle” Brown CBE DSC AFC, renowned for having flown in more types of aeroplane that anyone else, George “Johnny” Johnson DFC, the last British Dambuster, and veterans Syd Marshall, Maurice Snowball and Reg Payne, amongst others. An auction of fantastic lots will also be run on the night including a VIP tour round the Vulcan, a VIP trip to the Red Arrows, a two-night stay in a World War II Control Tower and a residential brewery experience at the Batemans Brewery Headquarters. 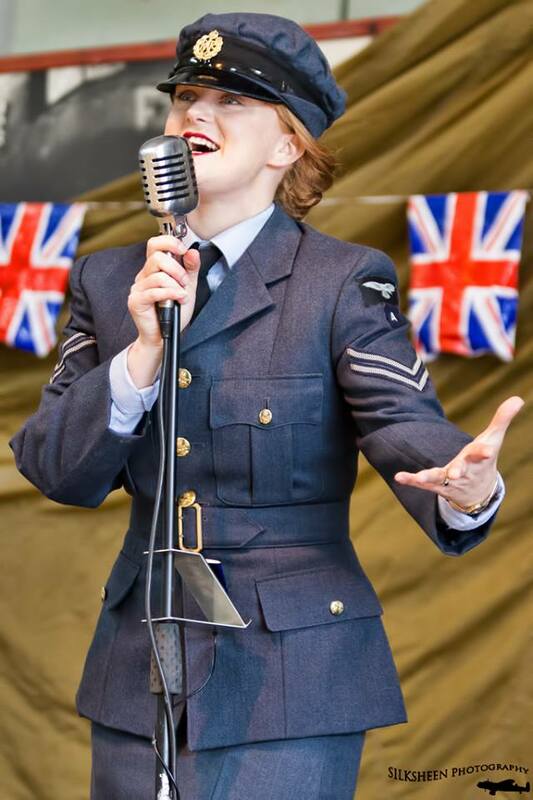 Guests will be entertained by 1940’s singer Sarah-Jane who helped to entertain the guests at the IBCC’s unveiling ceremony in October. 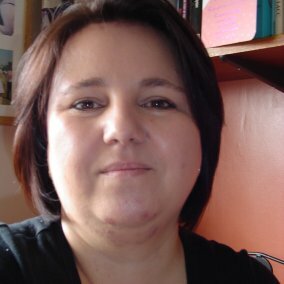 Gemma has created several wonderful interviews for the digital archive including some that were quite urgent. Although she admits she was new to the history of Bomber Command she has quickly become knowledgeable on the subject, and she is a great ambassador for the IBCC. Gemma says “I am a total newbie to the world of Bomber Command and the people within it. I have always had a passion for history, and grew up on World War II stories. One grandfather was a gunner with the Royal Field Artillery, serving in North Africa and on the D-Day landings. My other grandfather was a fireman during the Blitz in the docks in the East End of London. I also lost a great uncle in northern Italy from the army aged just seventeen. My family are real East-enders so war stories were a way of life. I will admit I knew very little about Bomber Command until I saw the Bomber Boys with Ewan McGregor (I have a bit of a crush on him). I was fascinated and hooked, and with each word spoken found my respect for these men and women growing and growing. I wanted to learn more and having always been involved with the Royal British Legion and the National Arboretum this was a new chapter to my passion”. The first lecture held by the Digital Archive in late November was a great success. David Stubbs spoke on ‘Why Bomber Command flew most missions at night’ to a full house. 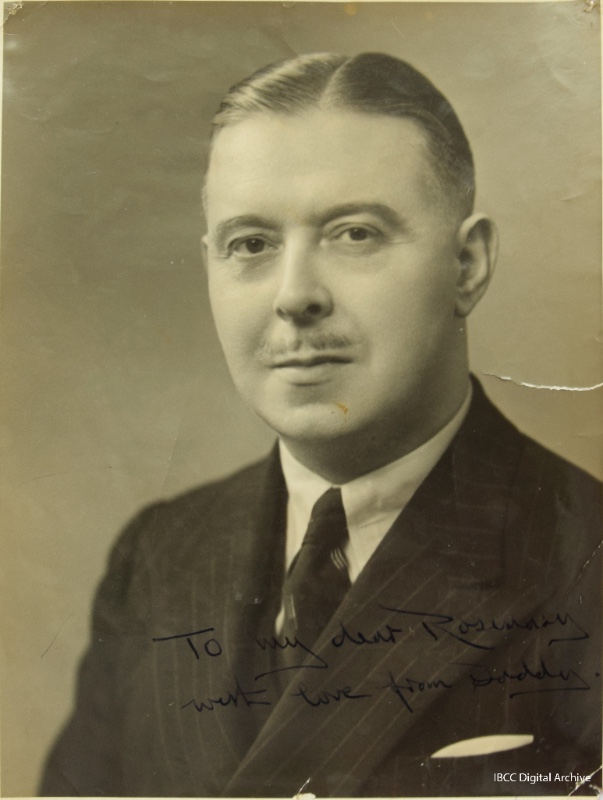 He suggested that the RAF could have had a long range fighter variant of the Spitfire early in the war if the Air Ministry and the RAF had been more open to suggestion and change. The IBCC Digital Archive lecture series will continue throughout 2016 on the last Wednesday of every month:at:7pm,:at the Riseholme campus of the University of Lincoln. 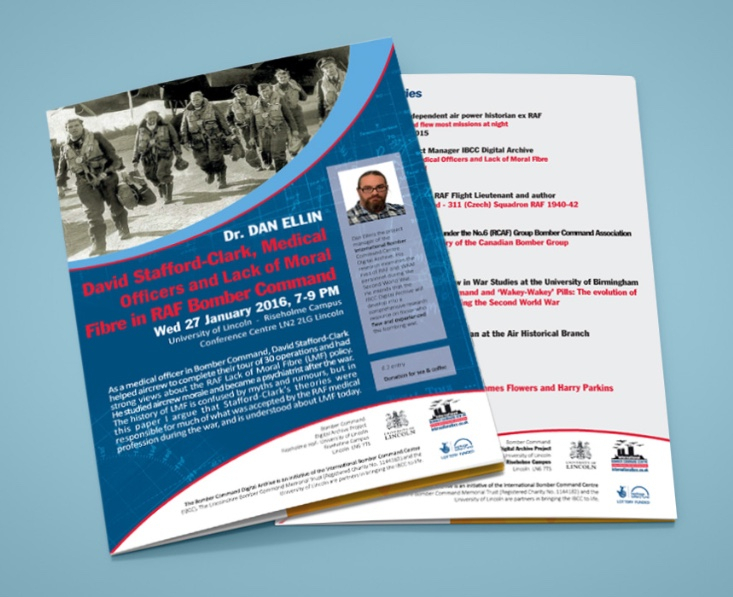 On:27:January:2016 Dr Dan Ellin will give a talk: ‘David Stafford-Clark, Medical Officers and Lack of Moral Fibre in RAF Bomber Command’. Other speakers will be announced soon. 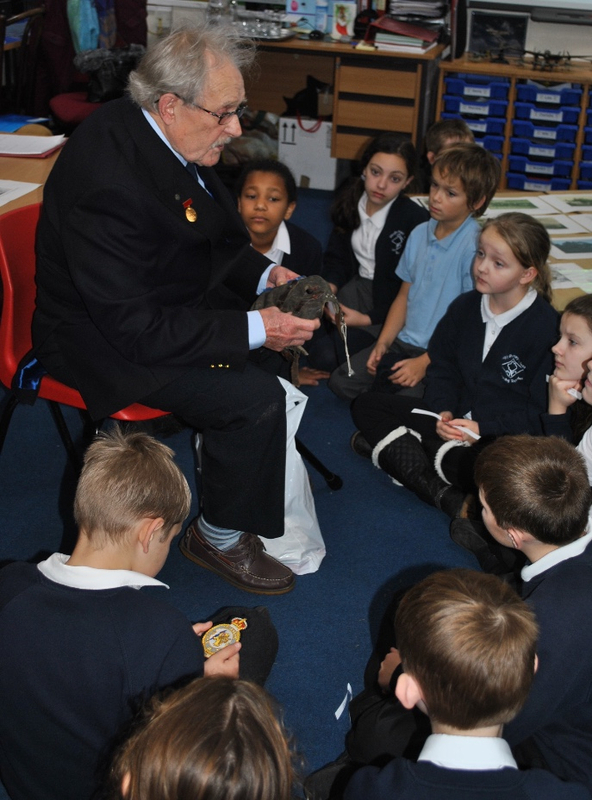 Digital Archive staffers Peter Jones and Helen Durham went to visit Class 6 at Wragby Junior School:on:27:November. A short presentation about Bomber Command and the work of the Digital Archive was given, plus various pieces of memorabilia were on display. The highlight of the afternoon was a talk by veteran Mr. Jim Auton MBE, giving a wonderful personal account of his time as a Bomb Aimer. The children were fascinated and asked some very insightful questions. It was an afternoon enjoyed by everyone and a great opportunity for the younger generation to learn about and appreciate the important role of the RAF during the Second World War. In November members of the Digital Archive team visited Upton and Kexby Village Hall to examine and photograph a large mural depicting aircraft in flight over Lincolnshire. They accompanied conservators from Crick Smith, the historic materials conservation consultancy, who will advise the village hall committee on restoring and conserving the mural. The mural was painted on the NAAFI wall by R:S:Thomas in:1944 and was rediscovered when the building was demolished. 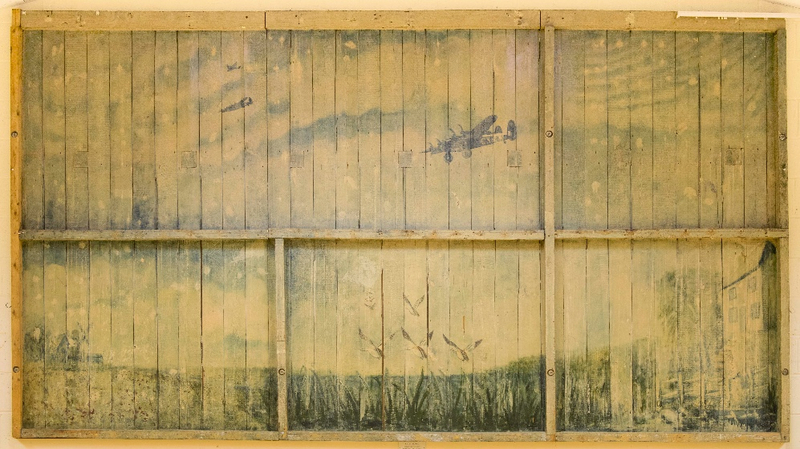 The mural was stored at RAF Coningsby and returned when the new hall was built in 1990, but it is now showing signs of deterioration. No.1 Group Aircrew School was based at nearby Sturgate in 1944 and the mural may depict a fighter affiliation exercise. The central aircraft appears to have the unusual code G3. Can anyone shed any light on this? On 29 July 1944 Stirling LJ585 of 1654 HCU took off from RAF Wigsley at:4.05pm:on a practice bombing and cross-country flight. Following engine failure, the aircraft crashed on fire at Normanton on Trent:at:6.45pm. :Sergeant John Casey and four others managed to bail out but four of the crew were killed. 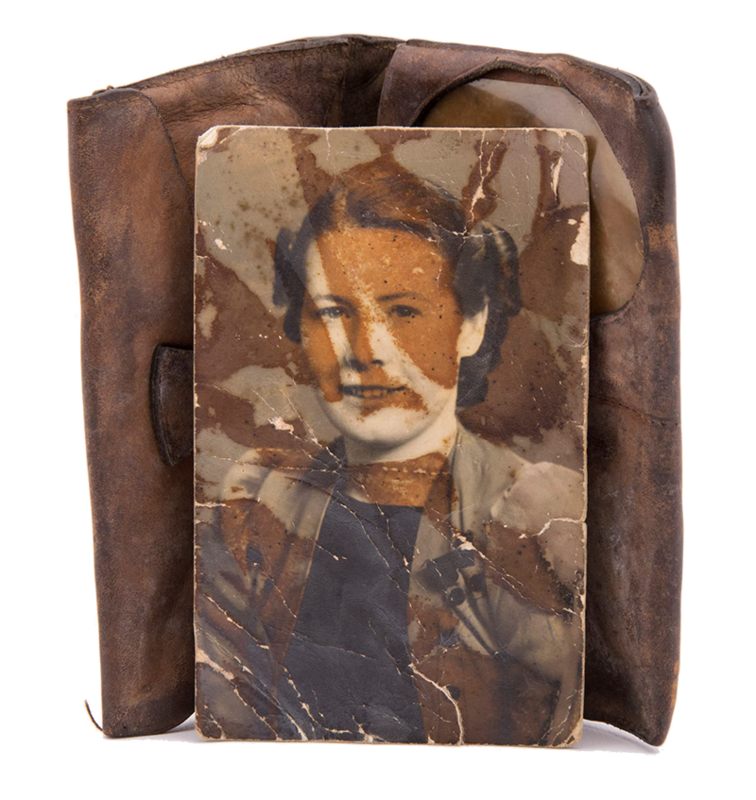 The wallet and a photograph of Rose Kearney, an Irish nurse who lived in the same digs as Mr Casey in 1941, were salvaged from the wreckage of the Stirling. These form part of a collection recently loaned to the Digital Archive by Mr Casey, who flew with 61 and 83 squadrons. This is an unbelievable, true story which has remained untold but one which I consider should be widely published and disseminated. First I am Ronald Davis aged 93 who spent over 5 years in the RAF during World War II, most of the time in 5 Group Bomber Command stationed at Scampton and Winthorpe both in Lincolnshire. I am a life member of the Bomber Command Association, AJEX, The International Bomber Command Centre in Lincoln and a contributor to the Bomber Command Memorial in London. In 1978 the parents of a friend of my daughter - Mr & Mrs Martin Saslove - from Ottawa, Canada visited London and I offered to take them out for the day anywhere of their choice. 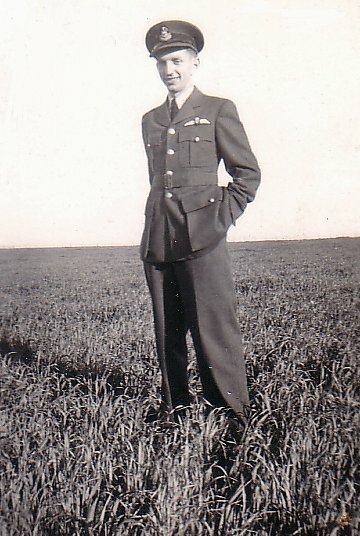 Martin told me he had a brother – Edward Lewis Saslove – “Eddie” - 10 or 12 years older than him who was killed during WWII whilst serving in the RCAF and he would like to visit the RAF Memorial at Runnymede. We made the trip and found his Brother’s name on the Memorial and Martin was extremely grateful to me for what I had done. My daughter, Avril, lost touch with her friend, Rhoda, and it was not until mid-2014 that they re-connected via LinkedIn. Avril mentioned it to me and although it was so many years earlier I immediately recalled the visit to Runnymede. The story now moves on. 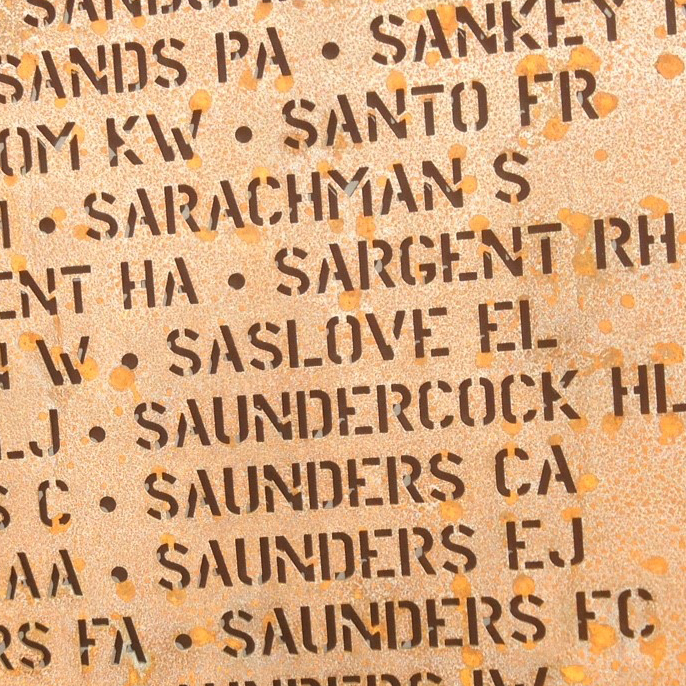 I was making arrangements to attend the unveiling of the Spire Memorial at the International Bomber Command Centre at Lincoln on 2nd October 2015 and although at that time I had no idea where Eddie Saslove served nor his Squadron, I thought to myself that if he had been stationed in Lincolnshire his name was bound to be on the Honours Memorial. At that memorable Official Unveiling Ceremony my Wife and I were amazed to find the name “E Saslove”- only one. I took several photographs and scanned them off to Martin in Ottawa explaining we had not been in touch for many years but I was certain he would be pleased to have them and to know his brother was not forgotten. I had an immediate reply thanking me and explaining he had never forgotten me. After his original visit to London and as he had so little information about Eddie’s service (his parents apparently would never discuss it) he set about finding out the fate of his brother and his crew. Eventually he ascertained that Eddie was a Lancaster pilot (Flying Officer) – PA 173 – belonging to 576 Squadron based at Fiskerton. 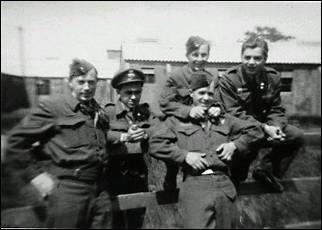 The crew consisted of Max Chisick, Bob Hood, Albert Campton, Glen McLelland and Eddie, all of the RCAF and Taffy Davies and A. Hoyle of the RAF. 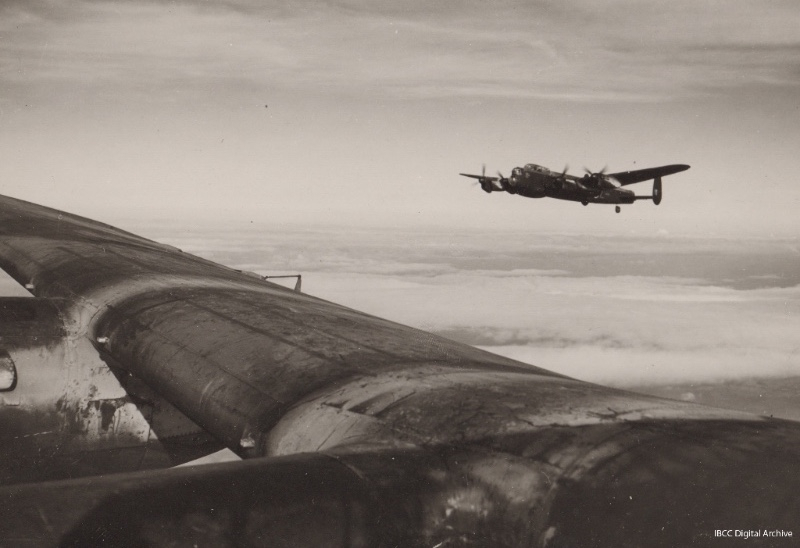 Sadly, the Lancaster was shot down by a German night-fighter airplane on 7 January 1945. Although the bomber was badly damaged all the crew were alive but with some injured. They were ordered to “bale-out” by Eddie. Apparently four of the crew did so but Eddie knew that two - Campton and McLelland - were wounded and having difficulty. If Eddie had been other than the Pilot he too would have baled out but with his responsibilities he did not do so. 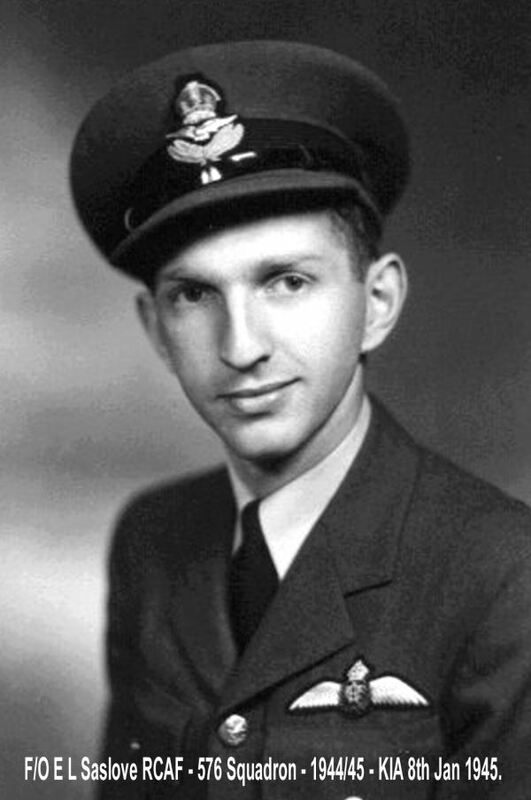 It is understood Eddie in fact attempted to land the aircraft rather than leave two of his crew in a pilotless aircraft to a certain death. All three died in the crash. All four of those who bailed out - Chisick, Hood, Davies and Hoyle - were captured and made prisoners-of-war and eventually returned home. 1. In 2010 he had direct contact with Max Chiswick – now deceased – “to thank you, on behalf of your brother, for 65 years of life. He also told him his son had been named Edward in memory of Eddie. 2. A grandson of A Hoyle wrote to him from the UK telling him if had not been for Eddie’s bravery and sacrifice in saving his grandfather he would not have been born and be on this earth today. 3. He has also had contact with Bob Hood – one of the other survivors. If these facts were known at the time it is my opinion they would have been deserving of a Posthumous Medal, a DFC, Distinguished Flying Cross, or even higher. At this late stage I realise such a Medal could not be issued but it must certainly be worthy of some Posthumous Award. I would very much like this wonderful and emotional story, more than 70 years after the event, to be distributed as far and as wide as possible. I would greatly appreciate any assistance from whatever source from anybody who might see this to enable this to be considered by the powers that be. Copyright © 2016 The Lincolnshire Bomber Command Memorial Appeal, All rights reserved. You are receiving this email because you have signed up for the International Bomber Command Centre Appeal newsletters.